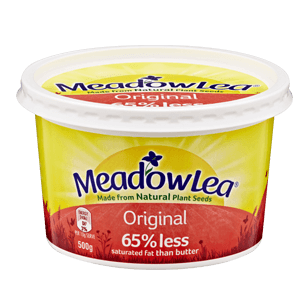 Meadow Lea Original is a spread made from vegetable oils that is spreadable at refrigerated temperatures. It contains 65% less saturated fat than butter, has a natural colour and flavour and is a source of Omega-3. Use it as a spread, an ingredient, for shallow frying, baking or sautéing. Vegetable oils 65% (containing 52% canola & sunflower oil), water, salt, flavour, milk solids, emulsifiers (322 (from soy), 471), preservative (202), food acid (270), natural colour (160a), vitamins A & D.
Use as a spread, an ingredient, for shallow frying, baking or sautéing. Information accurate at the time of publishing. Please fill in the form below for complete product specification and country of origin information. 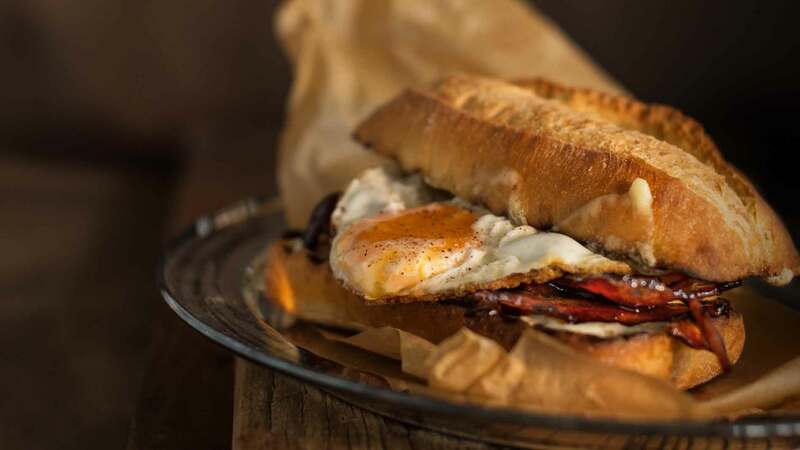 This version of the ultimate bacon and egg roll is perfect for a quick mid week meal or a lazy Sunday brunch. The sweetness of the honey combined with salty bacon and spicy mayonnaise will make it a hit every time. 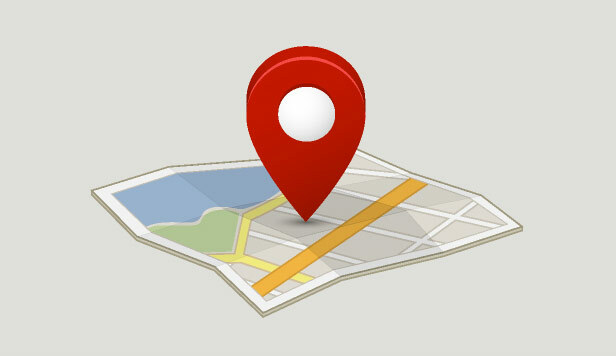 Find out which of your local distributors stocks this product. Want to know more about this product or have any questions about it? Get in touch with our Customer Service Team.